Wellington, Fla - Jan. 24, 2016 - On Friday, Jan. 22, the United States Equestrian Team (USET) Foundation hosted the Olympic and Paralympic Games benefit, Rockin' Rio, at Louisburg Farm in Wellington, Florida. With more than 600 guests in attendance, Rockin' Rio featured honorary chairs Patti Scialfa and Bruce Springsteen. The celebratory evening included award presentations, an elegant dinner, a surprise performance by Springsteen and a lively auction, which helped raise more than $1.5 million dollars for the USET Foundation. Rockin' Rio captured all of the elements of an amazing evening. The tent was transformed into a festive Brazilian wonderland by designer Reed McIlvaine (Renny and Reed) and included an exquisite dinner by Ken Rose catering. USET Foundation Executive Director Bonnie Jenkins and Committee Chairmen Kimberly Boyer, Gloria Callen, Margaret H. Duprey, Elizabeth Johnson, Elizabeth B. Juliano, Jacqueline B. Mars, Robin Parsky, Rebecca Reno, Jeannie Tisbo and Akiko Yamazaki all helped organize the highly successful event. Olympian Rodrigo Pessoa of Brazil kicked off the festivities, welcoming the American delegation to his country this summer for the upcoming 2016 Olympic and Paralympic Games in Rio de Janeiro. USET Foundation Treasurer Philip Richter then welcomed honorary chairmen Patti Scialfa and Bruce Springsteen, who recognized the guests for their dedication to the sport and the Olympic movement, as the USET Foundation prepares for the 2016 Olympic Games. "Patti and I have been involved with the horse world for 20 plus years since Jess started riding when she was 5 years old," Springsteen said. "Needless to say retirement is nowhere in sight for me. I literally play for horse feed night after night." Springsteen continued, "Patti and my life has been deeply enriched by our involvement in the riding world. I've gotten to watch my daughter grow up into a young woman of character and excellence. I've gotten to watch a lot of you grow up with her. I've gotten to watch the best in the world compete year after year, and I know what that takes. We're here tonight to honor your focus, your hard work and your dedication. I know it's not always an easy life, and we want to show you that we are 100 percent behind you." Later in the evening, the awards ceremony began with 16-year-old Lucy Deslauriers of New York, New York, being named the recipient of this year's Lionel Guerrand-Hermes Trophy, which is presented to a young rider in one of the Olympic disciplines who exemplifies both sportsmanship and horsemanship. In 2015, Deslauriers had a breakout year by definition: she won the Individual Gold and Team Silver at the Adequan/FEI North American Junior and Young Rider Championships, Individual and Team Gold at the Neue Schule/USEF National Junior Jumper Championships and Individual Gold at the USEF U25 National Championships. The next award was presented to Phillip Dutton of West Grove, Pennsylvania - the recipient of the Whitney Stone Cup. The award is presented annually to an active competitor who displays consistent excellence in international competition and high standards of sportsmanlike conduct while serving as an ambassador for the United States and equestrian sport. Five-time Olympian Phillip Dutton was the pathfinder for the U.S. Eventing team and led them to victory at the 2015 Pan American Games, where an Olympic qualification was at stake. The final award, the Bruce Duchossois Distinguished Trustee Award, was presented to Brownlee O. Currey, Jr. - Created in recognition of Duchossois' leadership, generosity and outstanding character. 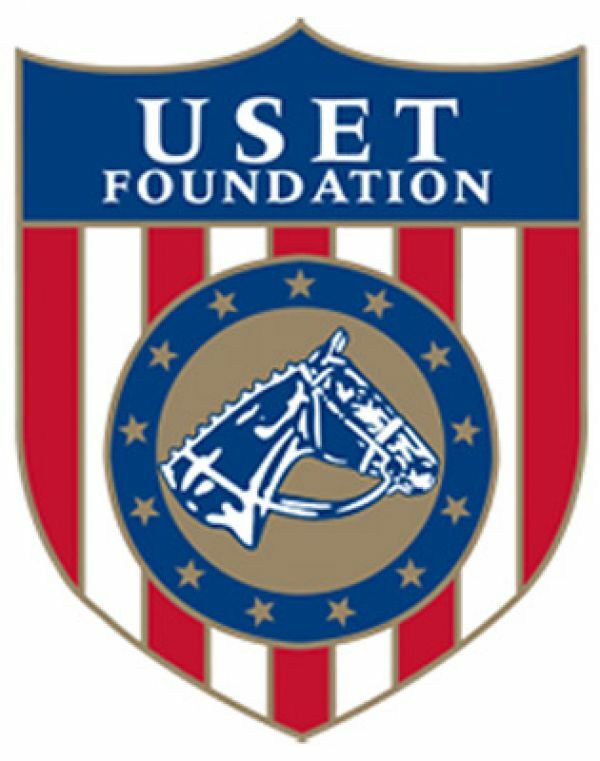 The award is presented annually to a USET Foundation Trustee who exemplifies exceptional leadership, philanthropy and character. For over 30 years Brownlee O. Currey, Jr. has lent his wisdom, passion and philanthropy to the United States Equestrian Team and the USET Foundation. He is the Chairman of the Board of the Foundation and, over his 30 years as a Trustee, he has served as Vice President, Chairman of the Development and Nominating Committees, and been an important member and advisor on the Investment and Finance Committees. Following dinner, the auctioneer took control of the microphone and revved up the crowd to begin the live auction, which raised money for the U.S. Equestrian Team. Auction items included a four-piece equine collection by artist Sharon Lynn Campbell, tickets to the International Tennis Hall of Fame Enshrinement Ceremony and Championships with a stay at the Relais & Chateaux Castle Hill and the painting "Precision" by Andre Pater, donated by Misdee and James Miller. The Duchossois family, Steve Wilson, Jeannie and Tom Tisbo donated a once in a lifetime trip for four to the Kentucky Derby, and Sharon Lynn Campbell also donated a custom oil portrait. A generous bidder claimed the prime summer week at Thistle House in the Vvillage of Edgartown at Martha's Vineyard donated by Mr. and Mrs. William H. Weeks, and guests also had the opportunity to bid on an amazing trip to California on a private jet with a stay at Montage Resort in Laguna Beach as well as an 11.63 carat yellow sapphire put in a setting of their choice, donated by Moti Ferder and Lugano Diamonds. The benefit really started to rock when the final item was introduced as donated by Scialfa and Springsteen. What started as a signed guitar by "The Boss" quickly escalated to 10 VIP tickets with sound check and backstage meet and greet passes to one of Springsteen and the E Street Band's River Tour concerts. To encourage the bidders, Springsteen took to the stage and brought the guests to their feet with one of his iconic performances. The hotly contested item eventually sold to two lucky bidders for $300,000 each. Rockin' Rio proved to be wildly successful for the USET Foundation, thanks to the generosity of the guests and auction donors, and their goal to help fund the United States Equestrian Team riders as they prepare to compete at the 2016 Olympic and Paralympic Games in Rio de Janeiro, Brazil.